J.B. Steel Inc. has been designing & delivering high quality metal buildings since 1970. We are your one stop shop for a complete metal building project. 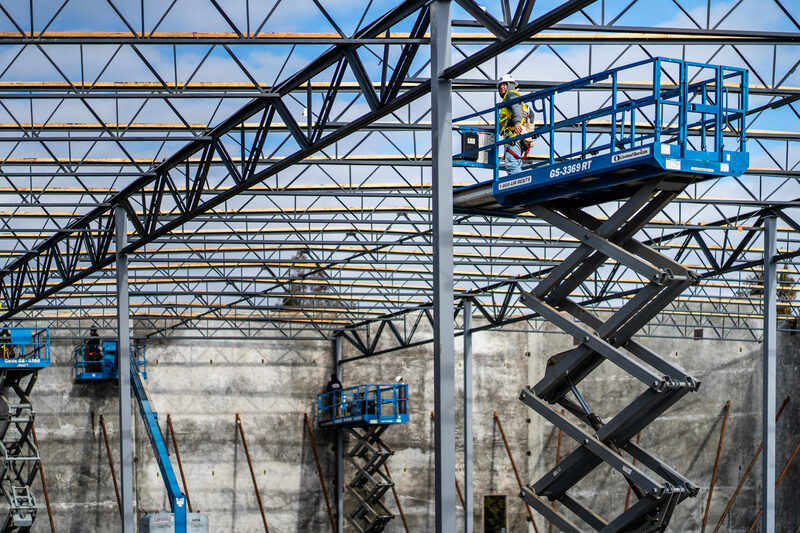 Our construction services range from full custom metal buildings, including civil, concrete, and complete building installation, to express building projects ready to be delivered to your door for install. Even if you only need to order a few metal building components, you can feel safe knowing you will get exactly what you need. Our expertise can save both time & money. The most crucial aspect of any project is ensuring it’s success from the beginning. Metal Buildings are a highly specialized field. Many people make the mistake of assuming all contractors or suppliers are the same. 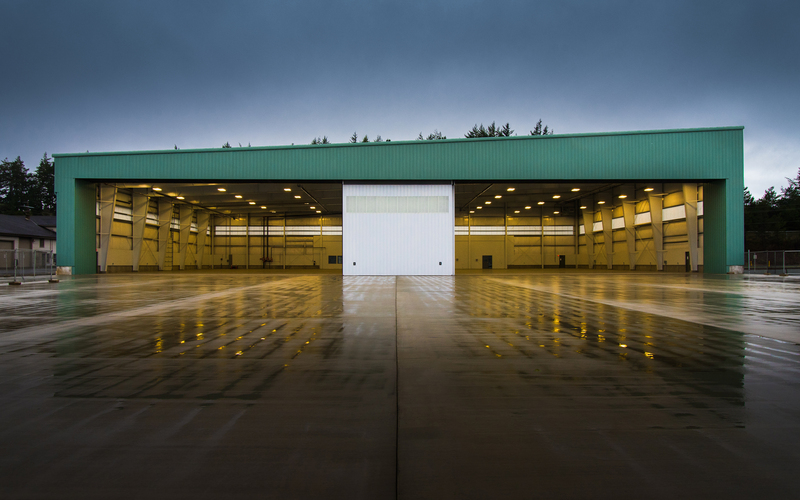 J.B. Steel prides itselft on designing & delivering the highest quality metal buildings. Our partnership with Metallic Building Company & NCI Group began in 1997 & has continued to flourish. During that time we have received numerous Metallic awards for excellence & merit, culminating in 2015 when we were awarded Metallic’s Builder of the Year. We are the only Oregon based company to have ever received this prestigious award. We are recognized for our solid reputation in innovation and creativity, and for our continued success at providing metal building solutions for the seemingly impossible projects. This long standing relationship guarantees our customers get the best in metal building design & durability. Metallic Building Company is the leading resource for custom-engineered metal building systems produce with the highest quality. Also, Metallic has been operating for over 60 years, making them one of the most trusted names in the industry. Part of our mission is to educate customers so they can make the best decisions. This is one area where we set ourselves apart from other companies. It is our goal to ensure you are getting exactly what you need. Too often a customer makes a decision on a price alone, but is not aware of what they have just purchased. The metal building market is flooded with “cheap” options guaranteeing the “lowest prices online”. This fast buy now mentality misleads customers into believing they are making a prudent cost-efficient choice. Remember that the material cost is only a small portion of any project. Purchasing a building before you have a complete plan for permits, foundation, and installation can be costly in many different ways. A little education goes a long way. A lot of education leads to real success. Value Engineering. Pay for What You Need. It is fairly common to see the Value Engineering process applied after pricing a traditional building structure where a customers budget is exceeded. We are fully capable of re-design on a project as a means to control costs. 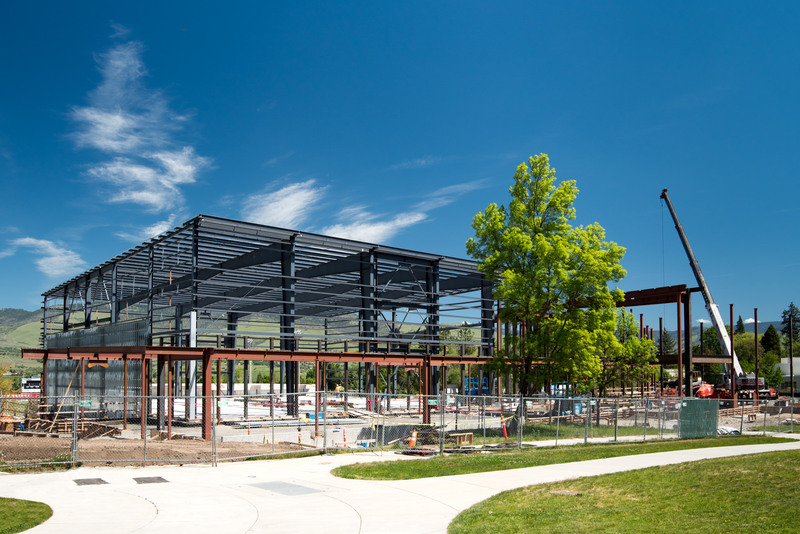 In the design phase of metal building development, properly applied value engineering considers alternative design solutions to optimize project savings at completion. Value engineering elicits ideas on ways of maintaining or enhancing results while reducing costs. Save yourself the headache. Start with the Metal Building. Essentially, if budget is a primary concern of the owner, we can design or assist other designers of a project to eliminate unnecessary or unusually expensive elements. Optimally the metal building design should be considered before other structural systems are incorporated into initial designs. This will ensure a coherent and cost-efficient design from start to finish. In retrospect, many difficulties arise trying to fit a metal building into an existing project’s design. Getting the Details Figured Out. Detailing is at the heart of any metal building. Some projects are simple or standard enough not to need any specialized attention, but most projects will always require the extra care in the details. Every projects success depends on the details. Getting these right is what sets JB Steel apart. Our history of repairing and remodeling old or out of date metal buildings has given us the insight to see potential problems other companies would miss. Most projects require extra care in the details. Get your project off on the right foot. Get the detailing done first, and by someone who knows what they’re doing. Metal Buildings are a specialized field. 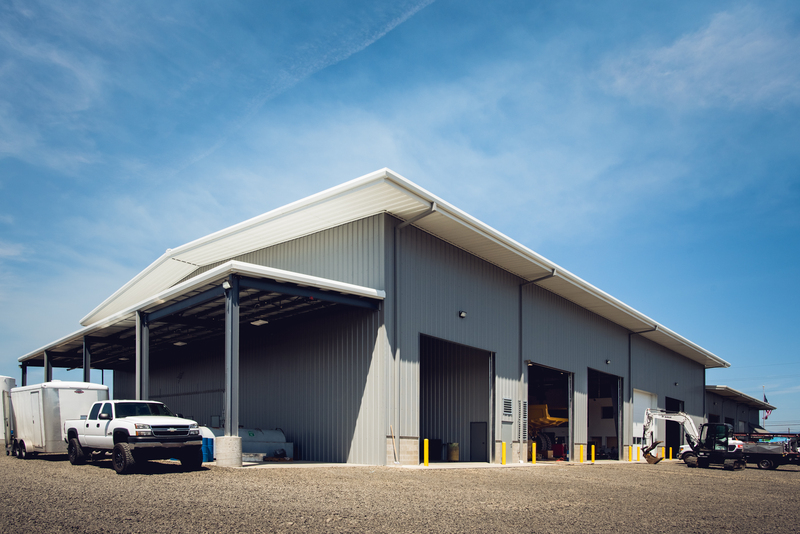 If your design professional is not experienced in Pre-Engineered Metal Buildings, call us and we can assist your team in developing a cost effective design.